As I sit and listen to the soundtrack of Rocky IV blare through my hotel suite, “No Easy Way Out” comes on, completely electrifying my spirit and creating a new focus for my Terrell Owens article. Terrell Owens defines what every athlete, man, and aspiring warrior dreams of being. Possessing the God-given ability to understand insane versus crazy and knowing the true value of himself simultaneously is a rare combination of brilliance and raw instinct. The world of media, reporters, and general the population may feel they totally understand Terrell, because they’ve had 50 yard-line seats to every game in his life. I personally viewed over 24 hours of visual content of Terrell Owens from post-game interviews to his VH1 reality TV shows and there is never a moment where he doesn’t give you all of himself. His passion for life and for football is reflected in every move he makes and every word he speaks. As I watch his infamous “Tony Romo” press conference where he bares his soul to the world and expresses his true sentiments for his fellow teammate. While most people observed a man crying, I witnessed a warrior bleeding for his tribe and fighting off anyone and everyone in his path. Different images and moments of T.O. race through my mind as put “No Easy Way Out” on repeat. When you examine every word and angle of T.O., you can’t help but feel his organically electric vibe and hang on his every word. The media has literally fed and profited from T.O.’s veracity, and even though he vilified himself on numerous occasions, his words exonerated the souls of many. To be feared and loved at the same time is rare for most people, but for T.O. it is a natural gift and curse. People with a higher calling in life, born children of destiny, and men of tomorrow follow the road less traveled. Nothing was ever going to be normal, average, or basic regarding the journey of Terrell Owens. As the lyrics of “No Easy Way Out” continue to vibrate in my eardrums, I visualize Terrell Owens’s childhood in the deep south of Alexander City, Alabama, and how his character, work ethic, and passion for his family were created and molded by his irreplaceable grandmother. Growing up lonely, poor, black, and pre-judged is a formula for instant failure for most persons. However, the uniqueness in every legendary journey is its childhood foundation. He was born Terrell Eldorado Owens on December 7, 1973, to Marilyn Heard, a sixteen-year-old from Alexander City, Alabama. He was raised primarily by his grandmother in Alex City, as his hometown is known. His grandmother was so overly protective of Owens, along with the brother and two sisters of his she also raised, that she did not permit them to leave the front yard to play with other children. Even when Owens received a bike as a gift, he was only allowed to ride it in the driveway or on the sidewalk in front of the house. If the rule was broken, they could expect a whipping. Owens recalls crying as he looked out his bedroom window and watched the other kids playing freely in the street. Owens’s mother was not absent from his life, but she had to work double shifts at the nearby Russell Athletic textile mill to support her children. His father never played a major role in his life and the beauty of his meteoric rise to fame is that he never allowed the absence of his father to hinder his need to keep family values primary throughout his life. Football, faith, and family have always guided Terrell through his darkest days. Owens was a four-sport athlete at Russell High. He ran track and field, played baseball, and was a talented basketball player as well. He was not even sure that he wanted to devote his energies to football if the chance for an athletic scholarship came—he preferred basketball as his sport of choice. Once, he tried to quit the high school football team before his senior year, but the coach convinced him to stay. Owens chose to attend the University of Tennessee (UT) at Chattanooga, mostly because the school’s athletic director did not object to him playing two sports at the school. Once again, Owens distinguished himself on the football field with the Mocs, as the UT team was called. He set a single-game touchdown record at the school—four in all—in one 1993 game and helped lead the basketball team to the National Collegiate Athletic Association (NCAA) tournament in 1996. That same year, he was a third-round draft pick by the 49ers, taken eighty-ninth overall, and he was thrilled to be joining the team of his longtime idol in the very same position. But his rookie season was a tough year for him, and he didn’t get much field time. Few sportswriters thought he would become a strong player on the 49ers roster. That same year, Owens was devastated when his friend from high school, Cedric Kendrick, was killed in a car accident back in Alabama. Terrell would lean on faith, family, and football to guide him through the unimaginable pain. Terrell’s life has always been interwoven with pain, deception, integrity, success, passion, and most of all love. Rarely does an athlete become a polarizing figure throughout the entire world who doesn’t have an off-the-field rap sheet. Terrell Owens has been called cancer to football teams, selfish, self-absorbed, uncontrollable and more. However, he has never been arrested, charged, or even associated with anything remotely negative or criminal off the football field. In my mind for an individual to have millions of dollars, power, celebrity status, access, legions of fans, and more to not have any off-the-field issues means his on-the-field actions are not reflective of his true character. The level of self-control needed in his position is unfathomable for the average day-to-day person. Terrell Owens is one of the most famous people in the world and tortured at the same time. Being at the forefront of truth and freedom comes with a price. Terrell Owens ran up a very high tab and paid the cost for hundreds of restricted NFL athletes who simply “played the role.” Terrell Owens always spoke and lived his truth and never dropped a pass of reality. Even when people see him on television speaking candidly about his hard financial lessons, the web of lies from so-called hired guns and misappropriations of his money from his friends, the general public sees another uneducated, broke athlete. That couldn’t be further from the truth. Terrell Owens is living, preaching, and teaching his truth to the world, and preparing himself for the next challenge. That’s the sheer mastermind of T.O.! He always extends the play on 4th down, no matter how many yards are needed. He’s taken his pain and lessons and created an opportunity of resurgence for his brand. Everyone knows of his accolades, NFL Hall of Fame numbers, worldwide T.O. fan club, community relations, and public mistakes. The main part of Terrell Owens perception we all need to focus on is his “heart condition.” No one can ever question the motives of Terrell Owens. As his life ascends to new heights and levels of success, T.O. has redefined his pathway in life. 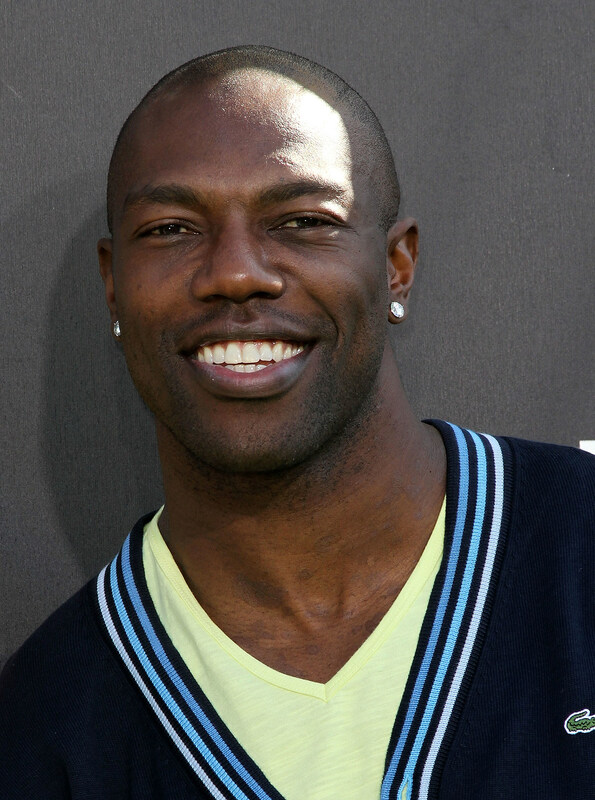 New business ventures, Hollywood gigs, corporate commercials, and more keep Terrell Owens occupied in 2015. Once again T.O. has extended the play and entered into a NEW OVERTIME.